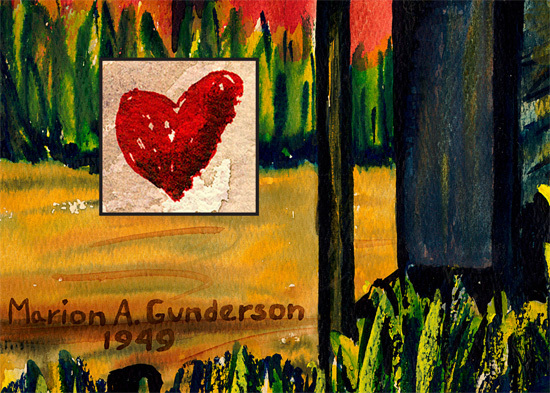 To date four of my family members have played a part in having giclee prints made of 27 of Mother’s (Marion Abbott Gunderson 1919-2004) 150+ watercolors. Hopefully tomorrow on December 12, in time for holiday gift giving, there will be a Fort Dodge Messenger column about the prints. As a result of the prints, so far $3,300 has been given to the Rolfe Public Library. The funds will go toward library-related projects, the current one being the digitizing of 101 years of Rolfe newspapers so that they will be available on the Internet. For contact information and information about where these prints may be seen/purchased “in person” click here. For online ordering information click here. For background information about some of the original watercolors click here. For a tribute to Mother click here. For a 1951 Des Moines Tribune article about Mother click here. For blog posts referring to the Barr Art Association click here. If you have information about any of Mother’s watercolors that you think we might not know about, if you’d let me know, my family would appreciate it so much. 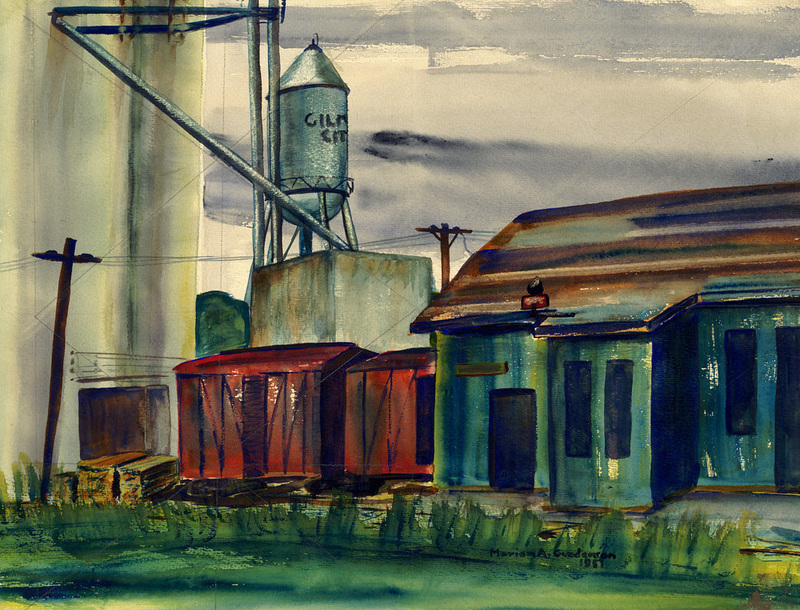 "Railway Station and Grain Elevator" at Gilmore City, Iowa, painted in 1951. 13.25" W x 17.25" H limited edition prints are available, $35. For those who wish to display the watercolors of the Rolfe, Gilmore City, and Pocahontas grain elevators in a grouping, we have chosen this standard size for all three. The Rolfe Depot prints are very close in size of the grain elevator prints. Also, if matted, a standard sized frame may be used instead of a custom frame. Here is a timeline of when Mother painted the 27 watercolors of which we’ve had prints made so far. Note cards are also available. This entry was posted on December 11, 2010 at 1:40 pm and is filed under Marion Gunderson. You can follow any responses to this entry through the RSS 2.0 feed. You can skip to the end and leave a response. Pinging is currently not allowed. The notecards are so vivid online. I gave a box to a friend tonight, but she did not open it before I left. It was the perfect “little” gift for this person.